Renewed fighting has flared up following unrest in the PK5 neighbourhood in Bangui, where some 2,200 Muslims are still living in an enclave. Local militiamen have clashed with the international forces present in Bangui. 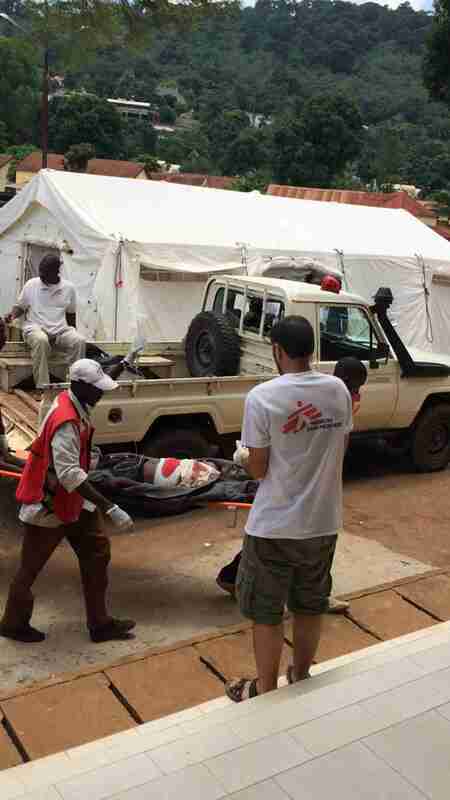 The MSF team based in the General Hospital have received 31 wounded in a single day and are working hard to deal with the high influx of patients. Our teams have been stretched to their limits and were forced to refer some patients to the city’s Hopital Communautaire. Gunshots, artillery and shelling continue to be heard in Bangui today. As a result of the violence, our team in the PK5 health centre was forced to suspend medical activities and seek shelter in a safe room before being evacuated. MSF's team at the hospital is made up of 19 international workers and 240 Central African staff, who work in the emergency and surgical departments.